Hollywood Casino is first to launch legal sports betting in Pa.
Valley Forge Casino Resort in King of Prussia. The Hollywood Casino at Penn National Race Course began taking sports bets on Thursday afternoon during a "live wagering test day," the first time sports wagering has been conducted in Pennsylvania. William Hill USA, a major international bookmaker, will operate Hollywood's sportsbook during a test period to ensure the staff and equipment are in compliance with regulatory requirements. 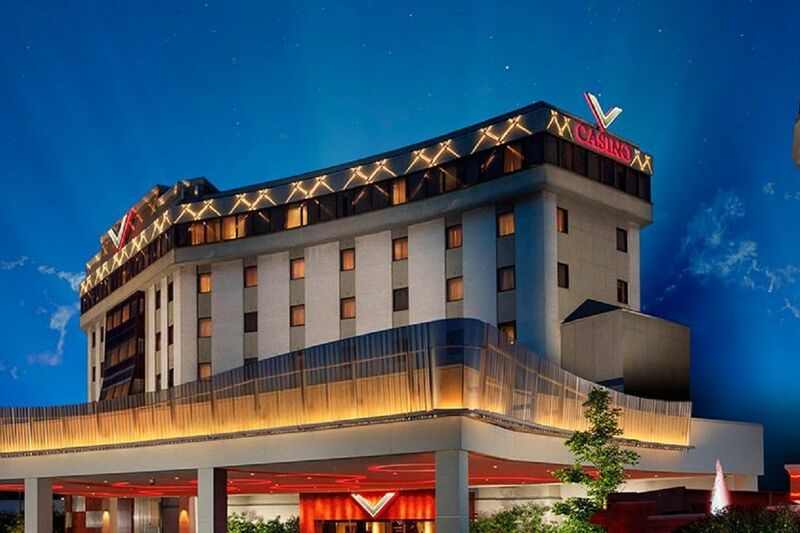 The stealth launch Thursday came after the Pennsylvania Gaming Control Board announced the Valley Forge Casino Resort in King of Prussia has applied to become the sixth Pennsylvania casino to offer sports betting. Valley Forge filed papers Wednesday with the gaming board, and named Betfair Interactive US LLC, a subsidiary of FanDuel Group Inc., as its operator. Valley Forge would become the fourth Philadelphia area casino to operate a sportsbook. The gaming board has already approved Parx Casino in Bensalem, Harrah's Philadelphia Casino & Racetrack in Chester, and SugarHouse Casino in Philadelphia, as well as Rivers Casino in Pittsburgh and Hollywood Casino in Grantville, near Harrisburg. Valley Forge's filing was not a surprise. Its was acquired this year by Boyd Gaming Corp., a Nevada company that owns 29 gaming outlets in 10 states and had expressed an interest in breaking into the Pennsylvania sports wagering market. Boyd has alliance with FanDuel to operating sports betting. The redacted sports-betting application did not indicate when Valley Forge will begin to accept sports bets. The license requires Boyd to pay a $10 million fee to the state. Sports betting would be the latest enhancement to the Valley Forge casino under its new owners. The gaming board last month approved a proposal by Valley Forge to add 250 new slot machines to its gaming floor, taking its total to 850 machines. New Jersey and Delaware already began sports betting in June, a month after the U.S. Supreme Court legalized nationwide sports wagering.